When Anwar al-Awlaki calls for Muslims to Kill Americans, that is a form of curse that demonic spirits may use. Jesus Christ calls us to break curses by praying prayers of blessing upon those who curse us. So this is a Campaign of Prayer that follows Jesus’ commands. WASHINGTON — Yemeni-American cleric Anwar al-Awlaki issued a renewed call for jihad against Americans in a video released Monday, as his father’s lawyers went before a U.S. judge to argue that Washington can’t legally order him killed. Mr. Awlaki, whose fiery Islamist sermons are popular among jihadists on the Internet, is a target of a U.S. program to kill terrorist leaders, officials say. U.S. officials say Mr. Awlaki is a leader of al Q aeda in the Arabian Peninsula, or AQAP, the group the U.S. says was behind the recent thwarted attempt to blow up U.S.-bound planes with package bombs. AQAP has claimed responsibility for the attempt. Mr. Awlaki’s latest sermon to surface on jihadi Internet forums, he sits, bespectacled and dressed in white, with a traditional Yemeni dagger showing from behind a glass-topped desk. Speaking in Arabic, he argues in the 23-minute video that jihadists don’t need to seek permission from clerics to kill Americans and others he said were enemies of Muslims. “Killing the devil doesn’t need any fatwa,” Mr. Awlaki said. He also lashed out against Israelis and Iranians, whose Shiite regime he said is seeking to dominate Sunni Muslims. U.S. efforts against Mr. Awlaki have intensified in recent months, after the group claimed responsibility for the Christmas Day bombing attempt by a Nigerian man who trained in Yemen. The investigation of that case helped elevate the U.S. government’s view of Mr. Awlaki from radical religious figure to terrorist leader, U.S. officials say. I call upon Christians to pray for Anwar al-Awlaki who, in his pronouncements, is calling for death. This man’s words apparently are inflaming people to violence. This is significant in itself but, more importantly, his calls to “kill Americans” are a form of cursing. Words spoken as a curse provide demons with a gateway into the world to build thought strongholds in people’s hearts, which provide a means for Satan to express his purposes through sinful human beings. The power of these words must be broken in the realm of the spirit and the way to do that is by the authority that we have been given in Jesus Christ. Some people may say, “So what? He is only one man. What do his words matter?” Remember it was one man – Adolf Hitler – whose words were used by Satan to build the terrible stronghold of Nazism that led to the deaths of millions of people during the darkness of the Third Reich and the horrible carnage of World War II and the Holocaust. In response, I invite all Christians to launch a “Campaign of Prayer” for Anwar al-Awlaki. 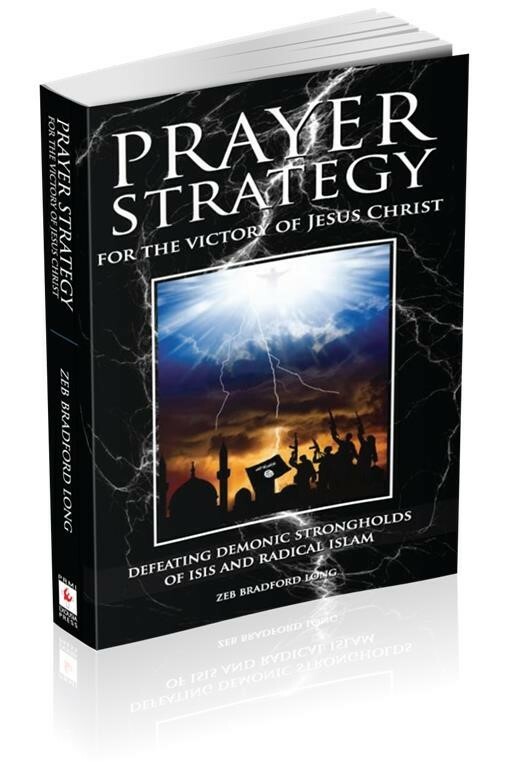 Our role as Intercessors is to STEP INTO THE GAP and, in the realm of the spirit, move with the authority given to us by Jesus Christ to break the power of the curses and the demonic beings that are working to build a stronghold through Satan’s use of al-Awlaki and his cursing words. I believe Jesus gives us clear directions as to how to pray for Anwar al-Awlakii. Please join in prayer as you are led by the Holy Spirit. In the name of Jesus Christ, we pray that you will bless Anwar al-Awlaki with the greatest blessing of all – that which is from you and your all-encompassing love. Let him know of your forgiveness that awaits his repentance for the evil that he is doing. Lead him to your heavenly paradise via the river of life that only is found through you, Lord Jesus. In your name, Jesus Christ, we break the power of his death curses that have been spoken against Americans. 2. Jesus says, “I tell you the truth, whatever you bind on earth will be bound in heaven, and whatever you loose on earth will be loosed in heaven. 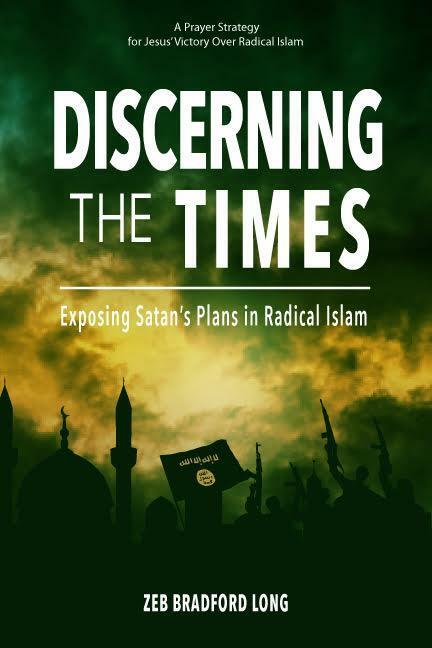 In the name of Jesus Christ, bind the demonic spirits of hatred, murder, deception and any others, by whatever name, that are using al-Awlaki’s words to accomplish their purposes. In the name of Jesus Christ, we also block this man from further evil intent. Take away whatever favor he may have – in both the realm of the spirit and the spiritual realm. In your name, Jesus, we first ask that you will reach out in love to Anwar al-Awlaki. Break through the deception of Satan’s stronghold working through him and lead him to you, Oh Lord. Lord, if he refuses to repent and turns from death by accepting you alone as the Way the Truth and the Life, then in your name, Jesus Christ, we ask that you will pierce through the demonic covering that is preventing his exposure to the world’s intelligence services. If you are just joining us and would like to catch up on how all of this Intercessory Prayer work started, please view the video clip. It tells how the Holy Spirit revealed that He was “mobilizing, equipping, and deploying” intercessors for this time. If you are being called into the work of high-level intercession, then please visit our website and view the video. Al-Awlaki might not be exactly who he is portrayed to be. See Link Below.